Wait a sec… There’s no yeast?? I am skeptical this will work. Did you really make it with no yeast? Worked out perfectly; nothing to freeze; the kids devoured it! Corn bread doesnt have yeast in it…corn bread is actually a type of cake. Yep, it worked. But the thing is I used the cake setting. Some bread machines call it the “quick bread” setting. So there’s no rising or anything like that. It’s more like what you’d get with a corn bread mix that you buy at the grocery store. 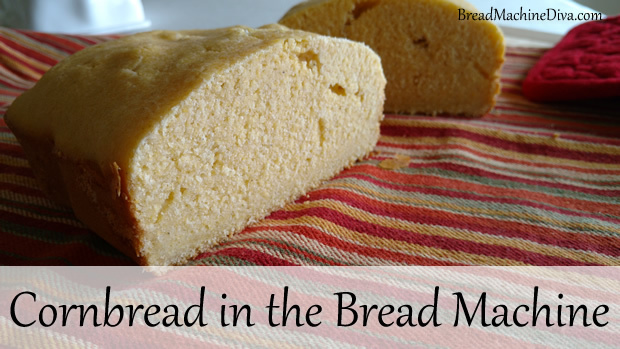 I always used a mix from from the grocery, so really have no idea if cornbread uses yeast? I have seen recipes that use nutritional yeast, that yeast is inactive, and used for flavor. 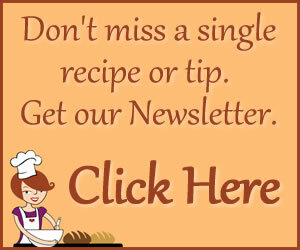 this recipe is nearly identical to the recipe on the side of a box of cornmeal. Once all the ingredients are mixed, I reset the bread machine to the bake cycle, and check it it after 20 minutes. Not sure how long the bake is with the quick cycle, havn’t had time to find out. My cornbread comes out hot right when the chili is done. i will be trying this soon on the quick baking setting. thanks for the confirmation that it’s possible! and for the sake of completeness, baking powder helps the cornbread rise –> so no yeast is needed. Be sure to let me know how it turns out. And thanks for the info about the baking powder. What size loaf did you set it to? My bread machine doesn’t have a size function. It’s a two pound machine so the bread had a lot of room in the pan. 🙂 It turned out fine though. Oh, good grief. Real cornbread – traditional southern cornbread – HAS NO yeast. That’s ridiculous. And thank you for your contribution. Potato flakes. I never would have thought to try that. Thanks for the recipe. I have a Cuisinart Convection Breadmaker and selected Option 7 – Quick Bread/Cake, a Light Crust setting and a 1 1/2 lbs loaf setting. Perfect ! WONDERFUL!!!! I am thrilled to find this recipe. We love cornbread and am anxious to get started. My mouth is watering while I type! 🙂 Thanks a lot for posting this! Thanks for this recipe! I have made it 3 times now but have to say I could use some help. The first time I added the instant potato flakes and increased sugar to 3/4 cup, but substituted rice drink for the milk. It was pretty bad! The 2nd time I followed the recipe but I used 1/2 cup of sugar instead of 1/4. It was better but still rather dense or ‘damp’ inside making it a little heavy. So the 3rd time I cut the flour to just 1 cup and went back to the 3/4 cup of sugar because I like my cornbread a little sweeter. It was MUCH better but still a bit dense or damp inside. Definitely acceptable, but … a little dense! Any suggestions out there? By the way I have a Breadman Plus and I understand it’s not the greatest machine, but it works fine on the packaged bread machine kits but I want to try other recipes. ok, never mind! I realized that my baking powder was ancient. Replaced it and tried again – Wonderful! Lisa, That’s great! What version of the recipe did you finally end up using? Sharon, all of the ingredients would fit in a 2 pound machine. My only concern is that it wouldn’t bake all the way through on the cake setting. Does anyone know if there is an adjustment required for doing the cornbread recipe at altitude. I am in the high desert at 4325 feet. I am at 6700 and this is nearly identical to my recipe. Enjoy. 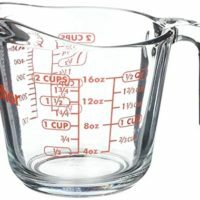 I just found your site today while looking for a cornbread recipe for our Zojirushi breadmaker (we didn’t want to use a mix either). This recipe worked out great, thank you so much. Just made this recipe and it is very good. Our Oster breadmaker has 2 Express Bake settings: one for 58 minutes and one for 80 minutes; It also has a Sweet Bread setting. When Express Bake is used, you cannot select a crust color. I decided to try the 58 minute setting for the 1st attempt, then try the other 2 if I wasn’t satified with the results. I don’t think there’s any need for more experimentation! Planning to do it very soon. It seems yummy!! What is the size of this loaf? It seems to be 1 lb. but not sure. Also, what type of flour is used? Is it bread flour? It just says “1 – 1/4 cup flour”. I dont have a cake setting on my breadmachine. Some other recipes use the basic setting for this type of bread and others uses the quick setting. God Bless you Karen! I also have an Oster Breadmachine. What were finally your settings and which one you really like it? Did you used some yeast or vital wheat gluten? “Quick” is another setting that I have that I could use for this recipe. I thank in advance for your help. I am just starting with my breadmachine. Thanks! Have a very blessed day! Marsha…did you use regular flour or bread flour. Can’t wait to make the cornbread. Hi Marion, I used bread flour, but the recipe was developed for regular flour so that should work too. Let me know which you use and how it works. Hi Marsha…thanks so much for getting back to me, much appreciated. Thanks, Marsha….I’ll definitely make the corn bread this week. I just love your website..it’s awesome!!!!!! Marsha I just pulled out the cornbread….it seems rather flat only about 3- 3/12 inches high. Waiting for the bread to cool down, will toast a slice later and get back to you….hee! The height seems about right. Let me know if you like it. I added the liquids first, then the flour and then everything else. The cornbread was delish!!!!!!!!! To say I was pleasantly surprised is an under statement. I toasted two thin slices last night…..this will be a staple in our house for sure. Thanks so much, Marsha for sharing the recipe…. :-) Also, thanks for getting back to me about the order of ingredients. I’m not placing any blame. I’m a novice and this was my third loaf EVER!! I have a DAK Turbo Baker II and used “sweet bread” and “turbo” settings with “light crust”, just guessing by the short bake times people were talking about. I’m still getting a feel for this machine, which seems to be an oldie, but generally a goody. The loaf didn’t cook through, mostly dough in fact, but it was really tasty nibling the edges, so I hope I can make it work. It mixed for a really long time and I was afraid it would drive off all the CO2 made by the baking powder. That wasn’t the problem, as it turned out. It seemed to rise about the right amount. I followed the recipe exactly with brand-new baking powder. I suspect that with the right settings, it will be fine. Maybe nix the “turbo”? Use “white” or “French” setting? Hi Ken, I was intrigued by your machine’s “turbo” setting. Sounds very cool. I did some research and I understand that the turbo setting is used to cut cooking time. Judging by the state of the bread, I don’t think it worked in this case. So for your next experiment, I’d use the “sweet bread” setting on medium crust and see how that turns out. Let me know how it works. Just tried the receipe with my Zoi 2pounder. All ingredients exactly with fresh baking powder but used buttermilk powder instead. No rise whatsoever! Any thoughts? Hi Tom, I’m sorry the recipe didn’t turn out. I don’t have that much experience with buttermilk powder. How high was the bread? This is quick bread and not a yeast bread so the height should be in the 3 to 3.5 inch range. I put the baking powder in with the rest of the ingredients. As you say, we have the same machine so it is very confusing. The only thing that I can think of is to test the freshness of your baking powder. Add 1 teaspoon of baking powder to 1/4 cup of hot tap water. It should start to bubble. The more bubbles, the fresher the baking powder. I was looking forward to trying out this recipe on my Oster breadmachine. However, after setting it up on the wheat setting (as I had seen from another corn bread recipe on the internet), my ingredients never left a liquified state. None of the ingredients had expired; the only thing I might have done differently is use brown sugar instead of white. Should I have placed the baking powder into a “well “on the top center of the dry ingredients?? When I added it, it was not touching liquid. Hi Michele, I’m so sorry your bread didn’t turn out. You need to use the cake or quick bread setting. Keep in mind that this isn’t a yeast bread. So the bread will be rather short (3 to 3.5 inches) and the baking time will be much short than a yeast bread. I just made your recipe today and it came out great! I put all liquids in first then flour then the rest of the ingredients on top. I set my machine to the cake setting and it went for 2 hours 50 minutes and came out perfect! I checked about 2 hours in and it was still completely liquid, which i was worried about, but after the last 50 minutes it was a perfect loaf of cornbread. 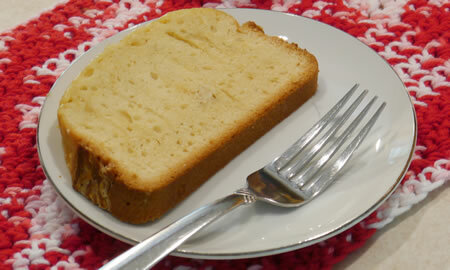 I have a new Zoji machine and used the cake setting to make corn bread according to your recipe. I used 100% whole wheat flour(unbleached and non-bromated).The corn bread turned out very dense and just undercooked. Should I try the quick bake setting which I presume is a longer cycle? I used stone ground cornmeal that was a bit vintage. I am trying to use all whole wheat and corn flour. Hi Demetre ~ I’m not sure how to handle those variants. I’d maybe try making just one change at a time. So try a loaf with the cornmeal and see if that works out. If so, make changes from there. However it could be that this recipe won’t be able to handle all those changes. Hi Marsha…I’ve made the corn bread several times, it comes out delicious. Only complaint I have is it’s on the dry side. Is there something I can add to make it moister (is that a word)…???? 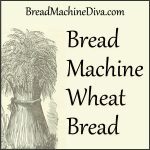 I have a wheat allergy and wondered if there was something I can use to replace the flour? I’ve only recently found out and have bought a machine as we have little to buy in South Africa. Hi Frieda, I haven’t done any experiments with recipes for folks with wheat allergies. Sorry. Off the top of my head I wonder about using rice flour, but I haven’t worked with that before so I don’t know. Let me know if you figure something out. I tried making this in my bread machine using the “fast bake” setting. It worked okay, but the very center of it wasn’t baked all the way through. That’s because my bread machine’s fast bake cycle is too short to fully bake it all the way through. I eventually plan on getting a new bread machine with all the updated features, but until then, I found a way to work around this problem. Simply reduce the amount of milk to a tiny bit less than 3/4 cup. That way it actually does work. Since I live in Arizona, I appreciate being able to make fresh cornbread even during the summer with heating up my kitchen, and being able to control the ingredients. The cornbread I have found at the store is simply too sweet to suit my tastes. This is actually very good cornbread. Jeff, Thanks so much for sharing that tip! Officially the best cornbread EVER at our home!! Thank you!! Thanks so much for letting me know. You made my day! Okay, I’ve got this in the breadmaker right now and I’m pretty excited! First time using the cake setting actually. Catherine, I hope you like it! It’s popular at my house. Hi Shelly, Congrats on the new bread machine! And thanks for letting me know how the bread turned out. I’m so glad that I found this site!! I got a Sunbeam breadmaker for Christmas and I was looking for a chilli cornbread recipe for the breadmaker, do you know if I can add chilli to this recipe?? I’m going to try it tomorrow. 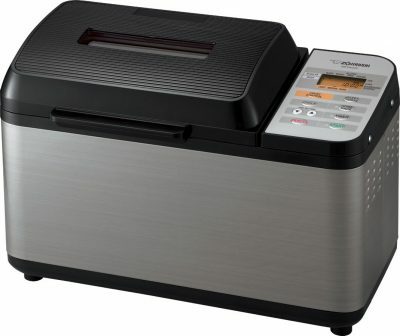 Yvonne, Congrats on the new bread machine! Do you mean that you want to add chilli powder to the recipe? I’ve thought about doing that, but I’ve never tried it. If you do experiment, let me know how it turns out. 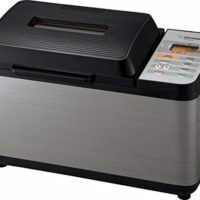 Just like Shelly, I got my first bread machine for Christmas this year. I got the Black & Decker All-In-One. I’ve been searching the net and found your site. But I’ve seen on some sites that Canadian ingredients are different. Here we use all purpose flour instead of bread flour because the wheat ground for our all purpose is the same as the bread flour in the U.S. Are there any adjustments I need to make on the amounts of ingredients used? I love making homemade cornbread and cakes but never knew it could be done in a breaed machine. Shelly, Congrats on your new bread machine! To be honest, I don’t know much about how the recipe should be varied for my Canadian visitors. It’s a good question though, so I’ve put it on to-do list as something I need to research. I’m sure you’re not the only one who’s wondered about this. I would like to use a can of cream corn in this receipe. Would I need to cut down on the liquid used or use only part of a can of corn. I feel that this will give the bread a very corn taste. I would like to add a can of creamed corn to the receipe for a real punch of corn flavor. Should I cut down on the liguid used or use less then a can of corn? Not sure if you’ll be able to answer this question by the time I need to make this today, but I was wondering if I can use water instead of milk? Our friends are coming over for dinner and one of them can’t have dairy. Thanks! Hi Adrienne, Sorry I couldn’t answer this in time. Did you end up trying the recipe with water? Well, I did it. I added a can of cream corn, cut down a little on the milk and added a few more Tbs. of flour . The loaf of corn bread came out great and was very rich and yummy. Dianne, Thanks for letting us all know how it turned out. That sounds great!! Wow that looks really good, how long did it take to “cook” in the machine? Hi Kenny, The entire cake cycle takes two hours. 80 minutes of that is spent baking. Hello Marsha! I got the Little Zo (1 pound loaves) for Christmas and would like to try corn bread. This is my first machine and I am at the experimenting stage… Can you suggest a way to adapt your original recipe/quantities to my machine? Thanks! Veronique, Congrats on the new bread machine! I’m sure you’ll enjoy it. I don’t have a one pound variation for the recipe at this time. Maybe another visitor to the site will post their variation. Fingers crossed! Thank you! Yes, I am also keeping my fingers crossed. Somebody, please help! Thanks. Hi Marsha…I love the way the cornbread comes out in my ZO. Wondered if your bread turns out really moist. Do yo use butter or oil? Olive oil or vegtable oil? Mine gets dry after the first/second day….should I increase the butter/oil? By the way, happy 2012! 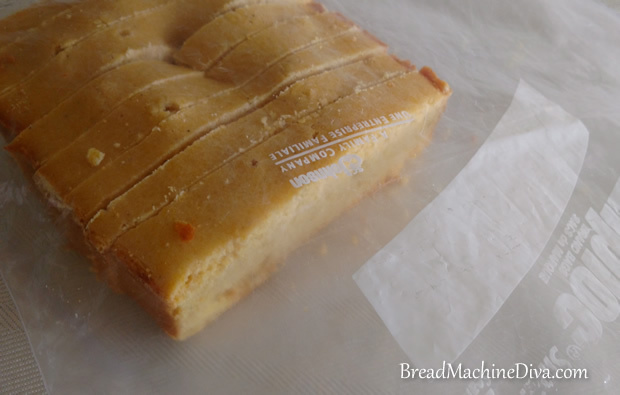 There is NO yeast in traditional corn bread…my machine has a quick bread setting not a cake setting. 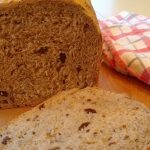 Quick breads are breads that do not use yeast for leavening, they use baking soda, baking powder or a combination of the two, like corn bread, banana bread, etc. 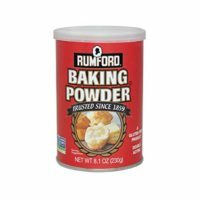 To the person who used buttermilk powder..I use it all the time for breads, muffins, pancakes and waffles, it is NOT a leavening agent, it is just powdered buttermilk, when using you replace any milk called for with plain water and add the buttermilk powder to your recipe, you still need baking soda/powder for your bread to rise! Thanks so much for the recipe! I have a batch going for supper as I type! Amazing recipe!! just came out of the machine and half if it is already devoured!! my little brother kept coming in the kitchen asking if it was done because the delicious smell filled the whole house! 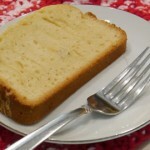 I’ve always wanted to make corn bread that tastes just as good as the one you buy! Yes, please let me know what you think. I like my cornbread served warm with butter and honey on it. I am from New Zealand and tried your cornbread in my panasonic breadmaker. I premixed all the ingredients and used the cake setting and baked it for one hour. It came out great. Loved it and will be making it again soon. Cynthia, Thanks so much for writing! I’m glad you enjoyed the bread.